Oh my stars! 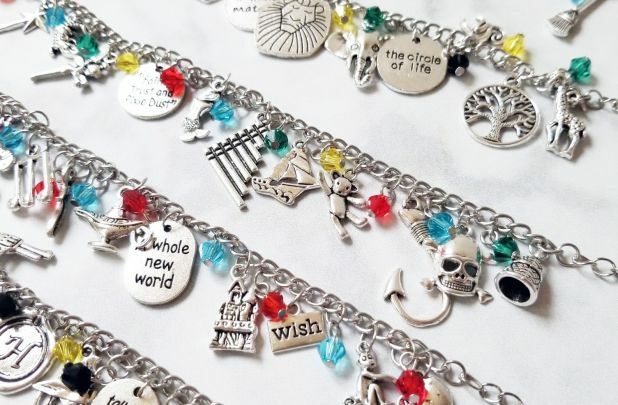 These bracelets are just the cutest and perfect for any Disney fan! The 5th option is Hamilton themed! Fairy Tale Charm Bracelets for $5.39 (Reg $29.99)! *Use code welcome10 for 10% off to get this price. The bracelets are 6.5″ long with a 2″ extender. Each one has a ton of charms based on a fun theme. There are 5 styles available. Shipping is $3.29 for the first item and $1.49 for each additional.